CFD solution for the DrivAer benchmark geometry computed in OpenFOAM on a mesh generated by Pointwise with results visualized in ParaView. We’ll talk about the industry, the technology, and the future of CFD. There should be time for audience Q&A so you can challenge anything stupid that I might say. But this should be of interest to anyone who’s questioning whether CFD is right for them. Hope to see you online in a couple weeks. Registration is required so don’t put it off. 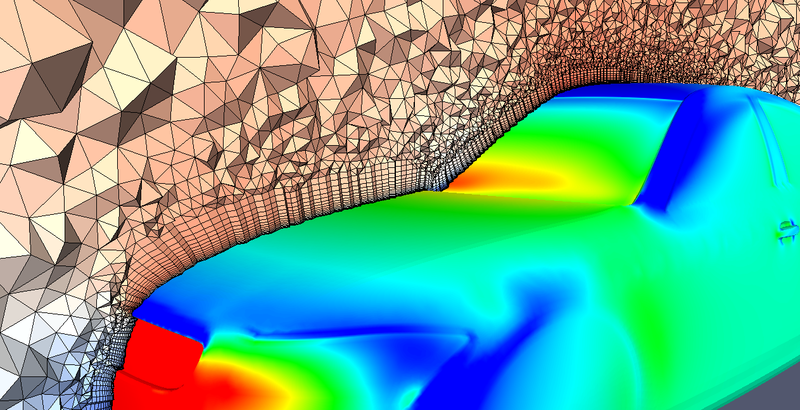 This entry was posted in Events and tagged CFD, mesh generation, Pointwise. Bookmark the permalink.